Genos offers next-generation sequencing services to consumers. Based in San Francisco, Genos Research was a spin-off of Complete Genomics' consumer division and was founded in 2016 by two former executives of that company. In April 2017 it was acquired by NantOmics and "temporarily stopped" accepting new customers. In August of 2017 they seem to be back in business, but it is not known if the data can be downloaded in a Promethease-compatible format. access to certified genetic counselors. The information below is now out of date, and will be updated when there is clarity over what the "new" Genos format will look like and what data will be included. Click on "Upload raw data"
Two major differences between Genos and other consumer genomics companies are the focus on next generation sequencing, and, the amount of data sequenced. Genos currently sequences an individual’s entire exome, covering ~50 million base pairs, compared to the ~1 million or less typical of microarray based providers. Initial Promethease reports run with data provided by Genos yield ~42,000 genotypes, of which 34,000 are from ClinVar. By comparison, the most recent Ancestry ($99) and 23andMe ($99) based Promethease reports yield ~47,000 and 23,000 genotypes, with about 24,000 and 2,000 annotated in ClinVar, respectively. A Genos core principle is that users own and control their own data and that it is never shared without their consent. 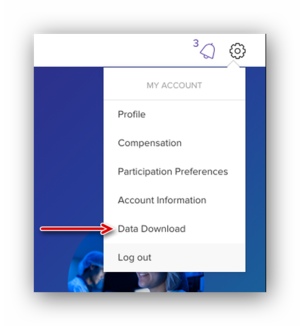 Genos has said that starting in late 2016 it will enable users to share data with research partners on a study-by-study basis and to provide compensation (to users) for such sharing. The Genos service uses the Agilent SureSelect All Exon v5 kit for exome capture; our own estimates as well as published ones (,) indicate that for most genes, this technology produces ~90-95% coverage of the medically significant variants, i.e. those annotated as pathogenic in ClinVar. Fasta formatted data files are available upon request from Genos. This page was last edited on 3 April 2019, at 05:30.